It’s pretty exciting when you crack the spine of a new book and read it for the first time with your child. Of course, that excitement might wear off a bit by the tenth read-through, and when you’ve read it what feels like approximately 12,000 times, you might find yourself tempted to hide the book. 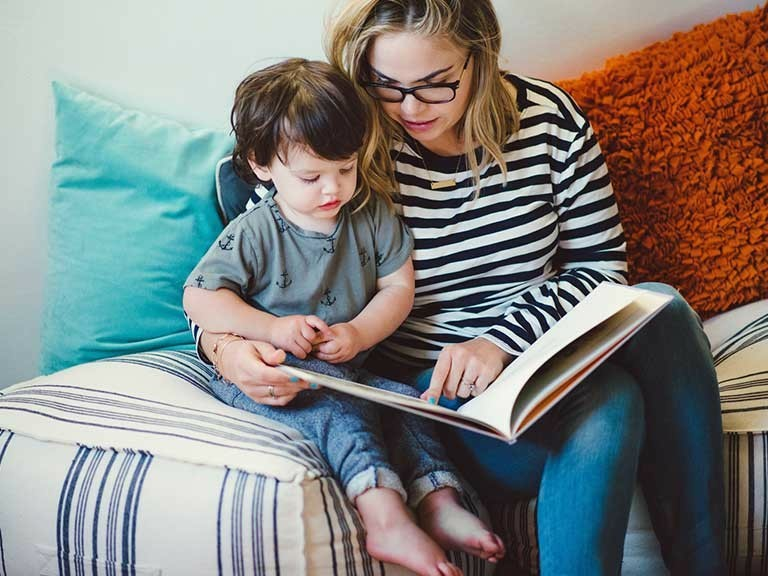 The trick is finding a book you’ll want to read dozens of times, because you know your young child isn’t going to get tired of it anytime soon. 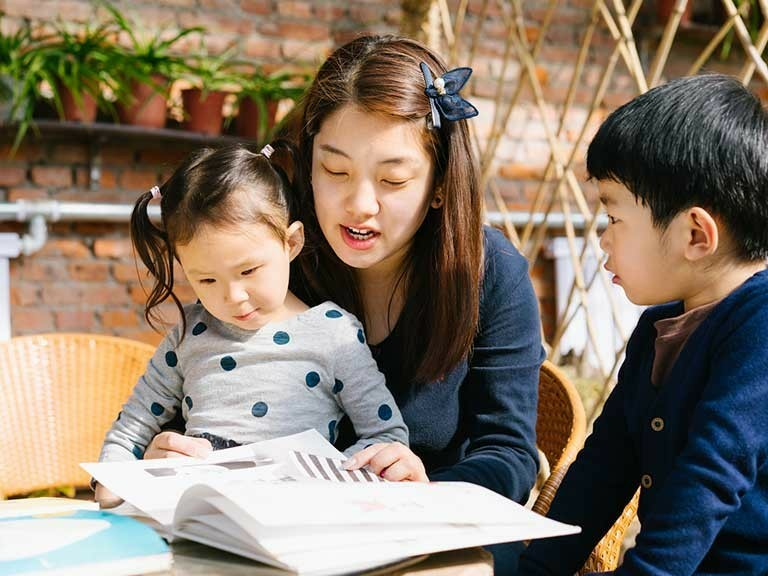 We’ve scoured the bookshelves for a baker’s dozen of books that you might not be familiar with, but that you and your child will both love for at least 100 readings! You probably already know the wildly popular interactive book, Press Here, and this is in the same vein, where you wave your finger or say magic words, and when you flip the page, it’s as if you’ve made something happen. Chris Van Dusen does the most vibrant, fun illustrations and this story, based on a real event, is a perfect match for his art about a ship carrying circus animals that goes down and what happens when the animals swim to a nearby town in Maine. This poor little purse dog just wants to play with the big dogs at the dog park! But will they want anything to do with a dog called Choochie Pooh who eats heart-shaped dog treats? Ninja Baby thinks she knows every trick in the book. But when a new baby shows up with a whole arsenal of new techniques, Ninja Baby is in awe—and maybe needs some lessons from this tricky baby! This book is gorgeous with a generous dose of whimsy. A bear finds a piano mysteriously abandoned in the woods, so he teaches himself to play and leaves to perform in the big city. But when he returns home, he discovers that his friends are still waiting for him. Rueda’s style and sense of humor is always on-point and this book is no exception—plus, it has a fun interactive quality. A little bunny wants to ski, but he needs help shaking snow from the skies and then creating a slope by tilting the book. Don’t forget to avoid the holes and trees! Alphabet books are a dime a dozen, but this one is beautiful and kid-friendly. It’s perfect for little vehicle lovers since each letter is associated with a road sign and the whole book looks like a long road. Mustaches are endlessly entertaining—and this one takes a new spin with a baby that’s born with a mustache. Sometimes, unfortunately, that turns into a bad-guy mustache. This wordless book is magical and stunning, about a little girl who uses a red crayon to draw a door on her bedroom wall—and opens it to discover a mystical world full of adventure. This fun lift-the-flap book gives you a chance to guess what animal will be hidden behind each flap. “Toodle-oo...”? It’s a kangaroo, of course! The beautiful bright illustrations make it fun to read over and over again. A baby kangaroo heads out to explore the world but keeps getting frightened back into his mother’s pouch. Your little one will love calling out “POUCH!” every time he dashes back to his mother. Nothing could stop this crocodile from eating watermelon. Nothing, that is, except swallowing a seed. Because who knows what will happen to that seed down in his stomach! Every child knows that a stick is more than a stick. It’s also a sword or a baton or a fire hose or a paint brush, as this book shows.